* There are 4 pre-drilled holes around door corners of this cage. * These pre-drilled holes are for reinforcing door with cable ties during flight. * You need to prepare/get/buy secured cable ties yourself. * We don't sell secured cable ties. 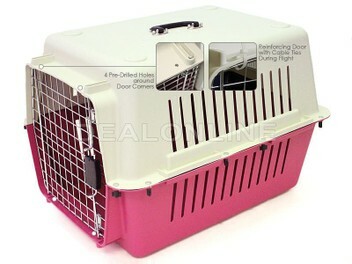 * Please check kennel/cage/crate requirements with the airline before you buy one.